past experience 12 years, a little rusty now, so I would need some warm up time but not beginner classes. I am 21 years old and looking for something within the same age area. Just want to exercise and continue my love for dance again. Would like to find a dance class for a couple. Would like to attend class once or twice per week. My husband is a slow learner and not a very good dance, but I have some experience. We are looking for a fun, romantic relationship enhancing activity to do together. My husband wants to learn how to dance, so we would go as a couple. I have some experience in dancing. Need lessons in the evenings and at least once a week. We are 56 years old. Birthday present for wife. Both are novices with NO experience. 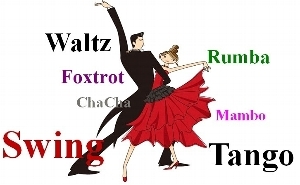 I think I am looking for more traditional, Tango, Waltz, Swing.... Ages 36 both, couple, not sure on duration, as long as it takes, no deadlines Thx, Contact via e-mail only please.